Kevin Fitzpatrick, Bandera, Texas. 2008 World Champion Trick Roper. Kevin continues to distinguish himself as the consummate ambassador of good will. 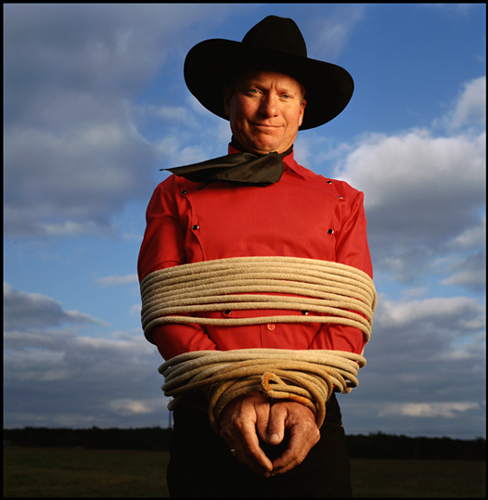 A horse trainer and an expert with a rope Kevin has been an Ambassador at the Texas Folklife Festival for many years. Kevin has represented the Texas Cowboy for the State of Texas and the Cowboy Capital of the World in his travel abroad promoting Texas tourism. He has delighted audiences around the world with his charm and skill. He has devoted much time to his family, his community and his state. He is a talented and able representative of Texas and the American cowboy.